AIG ConnectEd Conference Booth is an awarding-winning marketing deliverable receiving the Award of Excellence from IFCA. This is a 360 degree exhibit showcasing various AIG products. Playing a key design role, it was imperative that all advertisements were displayed with strength and clarity. 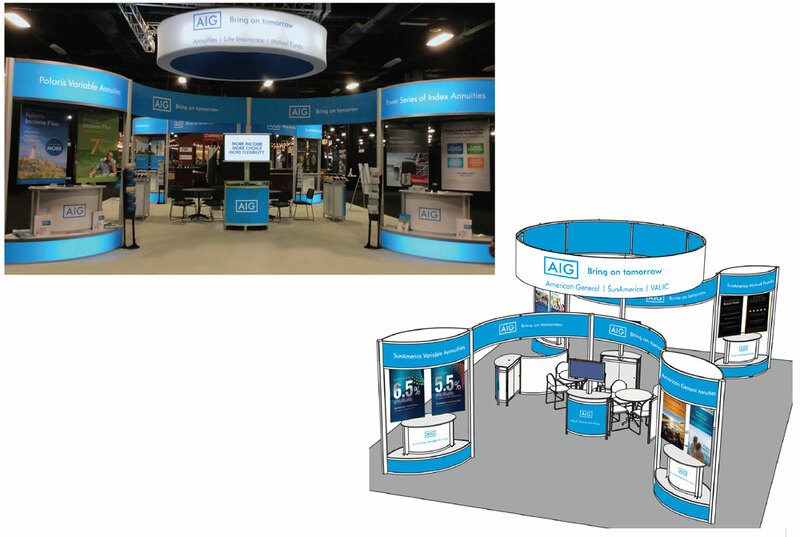 Using the product colors and AIG branding the development of a 360 degree exhibit proved to be successful and even caught the attention of our esteemed CEO.